I’m so glad we chose to travel to Columbus, Ohio for our family vacation this summer. Ya’ll this was some of the most fun I’ve had with my kids in quite some time. Looking for an inexpensive vacation idea near Pittsburgh? 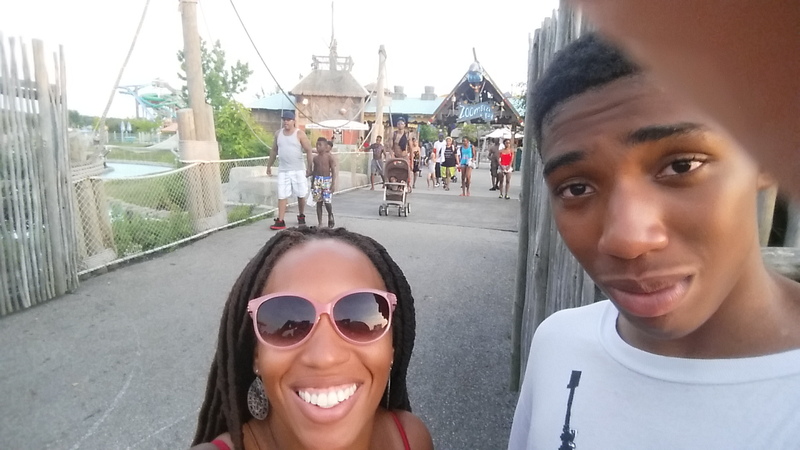 Then I’d highly recommend Columbus Zoo and Aquarium and Zoombezi Bay. 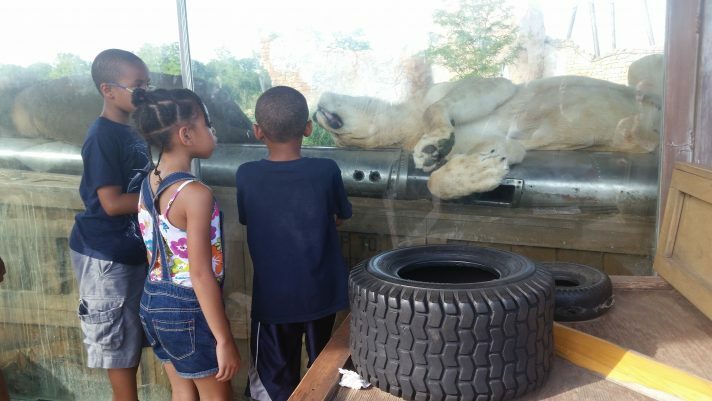 The Columbus Roar & Explore experience is available at under $500 for a family of 4. 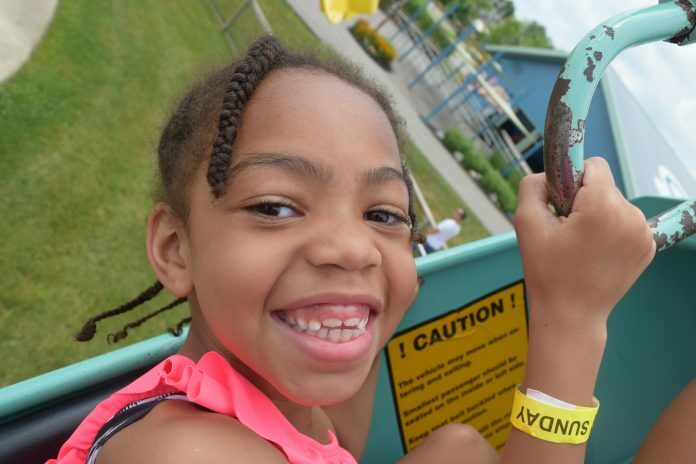 The 3-hour ride to Columbus from Pittsburgh was easy for our 7 and 8-year-old and finding the hotel and amusement park grounds was a no-brainer. 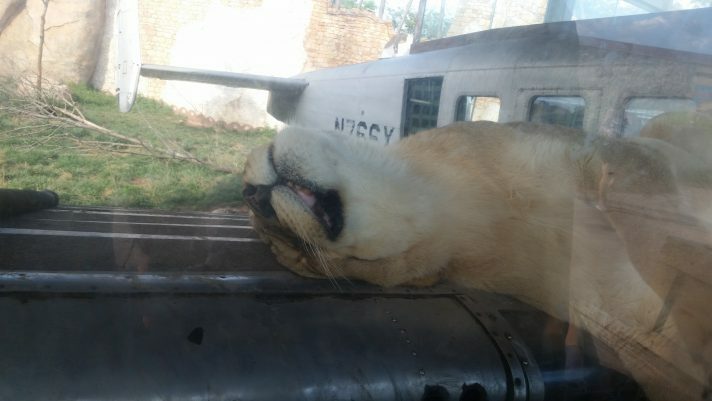 We stayed just 15 minutes away from the zoo and water-park. There were a plethora of hotels to choose from. 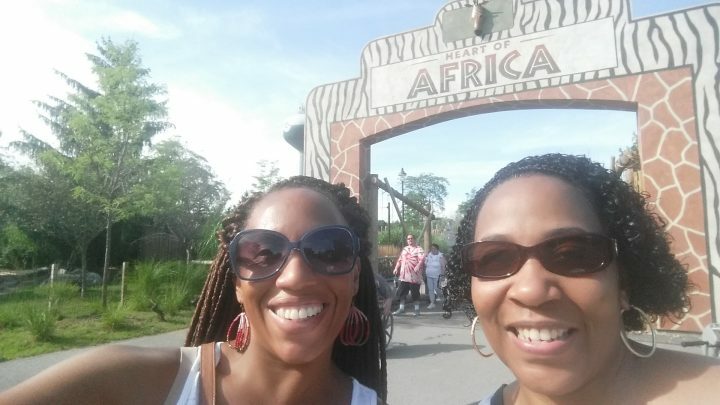 Our first day in Columbus we visited the Zoo and Aquarium. This is one of the best zoos I’ve ever been too even topping the Bronx Zoo. 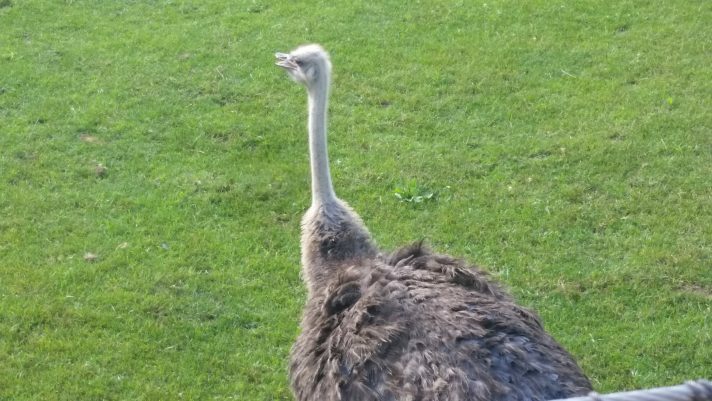 We had a nearly live encounter with lions, saw giraffes, ostriches and tons of other animals native to the African plains. 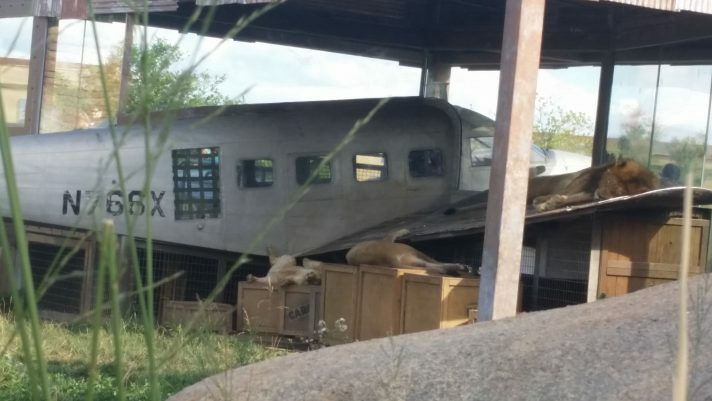 There was an entire pack of lions just lying around. 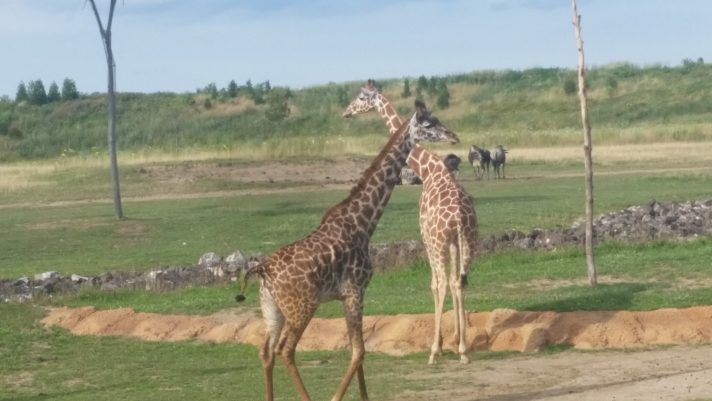 After having a ball at the Columbus Zoo and Aquarium our first day, we visited the zoo’s next door neighbor at Jungle Jack’s Landing the following day. 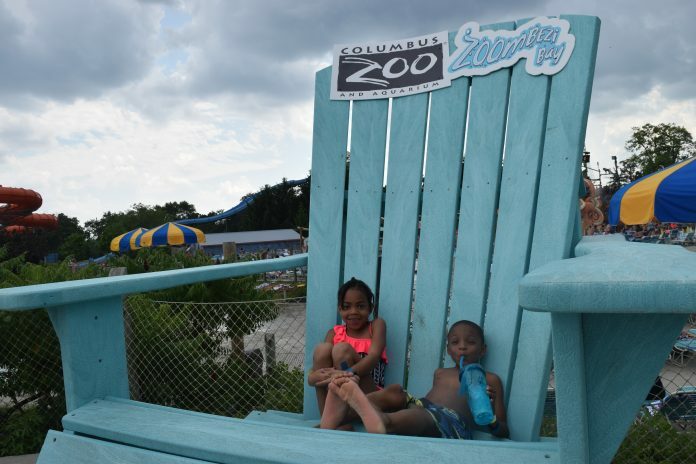 The Columbus Zoo and Zoombezi Bay sit together on a resort-style campus. In between the two Columbus destinations sits a 13-ride mini-amusement park called Jungle Jack’s Landing. 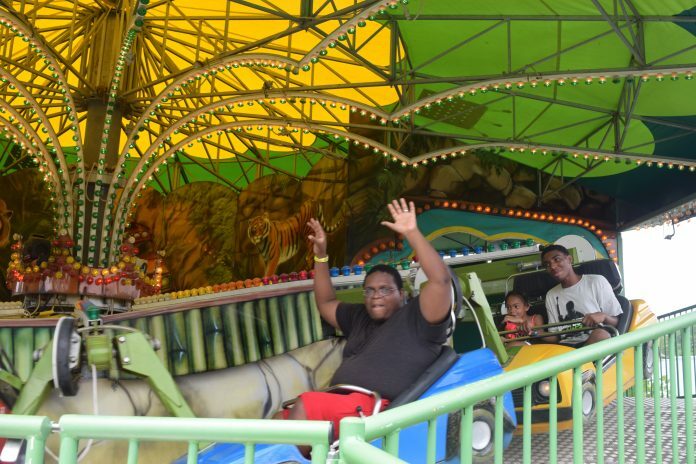 Most of the rides are intended for smaller children (toddler – 5-years-old). It also includes a stingray petting area called Stingray Bay. My 14-year-old loves biology and studying marine life. 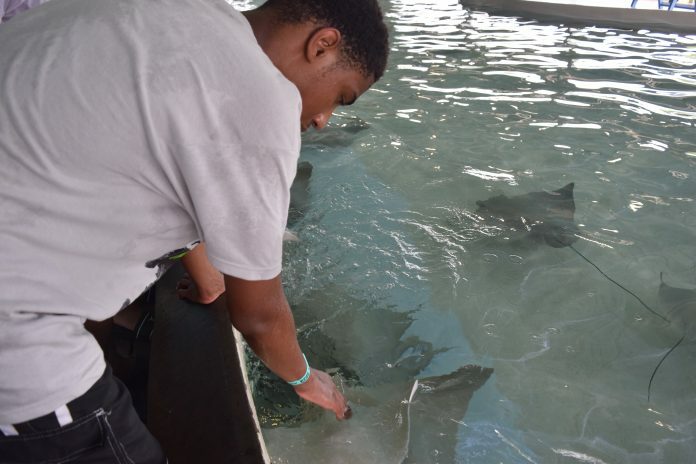 He enjoyed seeing the friendly stingrays up close. One of my favorite parts of the trip was spending time with my niece. Hubby is a big kid at heart. One of the many reasons I love him. 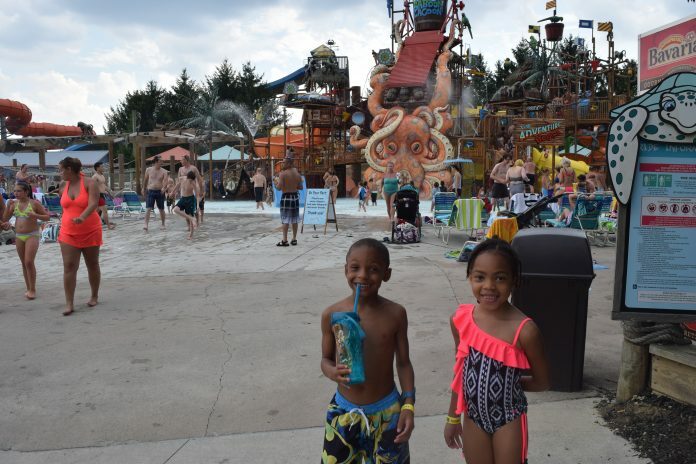 Our final and my personal favorite part of our family trip to Columbus Ohio was visiting Zoombezi Bay. Now, I was a bit ill-equipped for taking pics at this watery location. I didn’t want my DSLR getting wet, but I was able to snap a few pics. Zoombezi Bay was a blast because there was so much water fun to be had. Even the Baboon Lagoon, the children’s water slide area, was tons of fun. It was like a water club house where water could splash on you at any moment. It literally had a gigantic bucket of water that would tip over and spill on the entire playspace every 20 minutes or so. I’ve never loved a kiddie land so much. 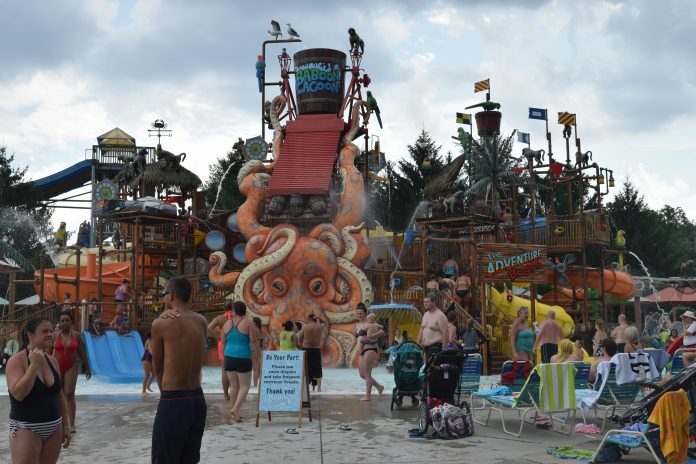 Plus there are tons of super fun water slides, a wave pool, two lazy river-style streams (one for families and one for adults-only) and you can get a Zoom Pass. (Which stops you from having to wait in line.) It was super fun! This was so fun. If you’re looking for a staycation near Pittsburgh, I would highly recommend a trip to Columbus. Our whole family from the kids to us adults had an awesome time. Visit their website for more info.